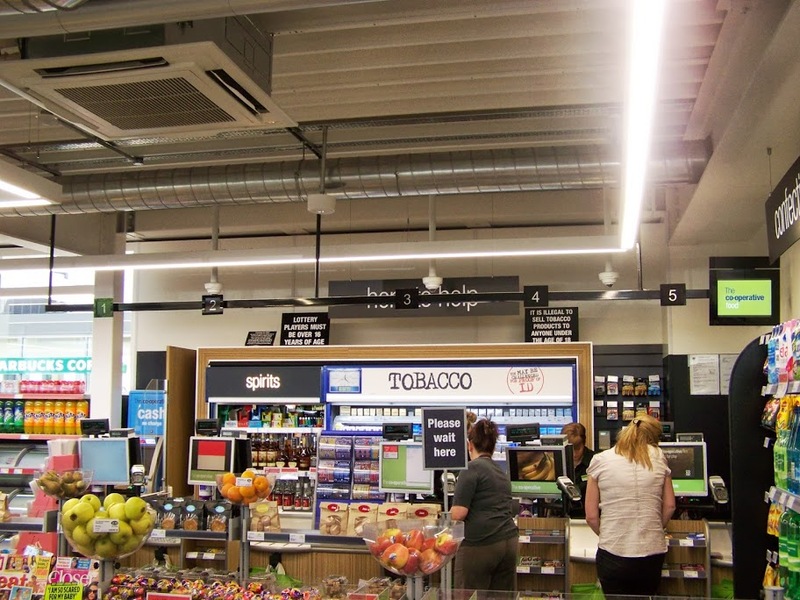 TDS Electrical has been working with The Southern Co-operative for over twelve years on a number of different projects from the re-furbishing of existing stores, to the electrical design and installation of completely new developments. This new store is located in a prominent position outside the high tech IBM building in Portsmouth. As our the head office for Southern Co-operative, the client wanted a high performance, energy efficient solution that was also elegant and eye catching to ‘fit in’ with the neighbourhood. The building had no ceilings, so the Co-Op was looking for an ‘industrial chic feel’. Together with Spurlite, we proposed and installed a suspended line LED system to give seamless lines of light that provided the necessary amount of light, but was also created the right ambience for this particular store.